Lucozade Sport will spearhead the largest ever trial of Ooho biodegradable and edible capsules at the Virgin Money London Marathon later this month, according to the isotonic sports drink’s parent company. The announcement comes after Lucozade Ribena Suntory (LRS) started testing out Ooho – a collaboration between the drinks producer and sustainable packaging start-up Skipping Rocks Lab – at selected UK running events last September. 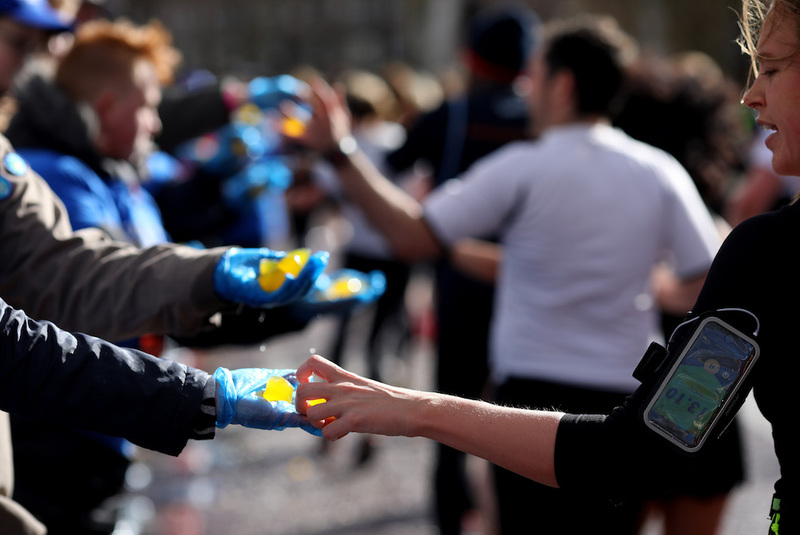 London Marathon Events has confirmed that the Lucozade Sport-filled capsules, which are made of seaweed, would be distributed to runners during the 2019 event as part of a number of sustainable initiatives. However, LRS has now confirmed that a total of 30,000 capsules will be handed out, marking the most significant trial of the product so far. LRS has also pledged that Lucozade Sport will be distributed in 100% recycled rPET plastic bottles at all future sports events where it has an official involvement, starting with the London Marathon on 28th April. The use of rPET for the 380ml bottles, which are manufactured specifically for sampling at events, will prevent approximately 7.8 tonnes of new plastic being produced every year, according to LRS. Additionally, Lucozade Sport’s owner will process bottles that have been discarded during the mass-participation event later this month as part of a closed-loop recycling initiative. In a further effort to reduce waste, following a successful trial last year, three of the Lucozade Sport stations on the course of the marathon will feature compostable cups. The organisers of the London Marathon have also decided to reduce the number of drinks stations and introduce so-called ‘drop zones’ along the course in a bid to concentrate areas where bottles and cups can be collected.